Here is the pic and the story. This picture was taken in 1988. My very first job as a rural social worker in Tuljapur. 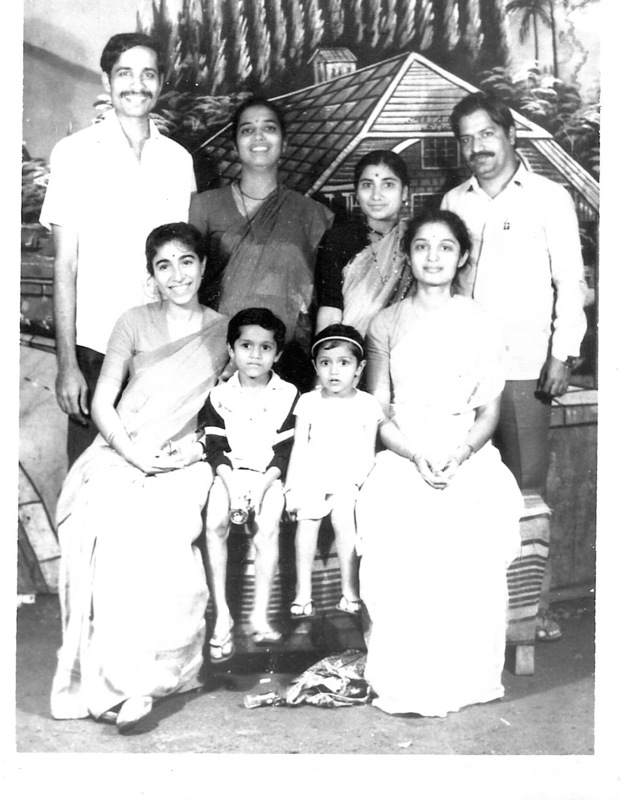 We were four social workers assigned to set up the Tata Institute Rural Campus so one day after work we went to a studio for a lark and had this picture taken. Evening entertainment in a rural area!! Sarees in those days were purely functional: worn to work everyday and through the night if we spent the night in the villages!! 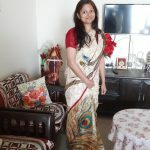 The very first time I wore a saree was when I was about 6 or 7 years old. My dad’s widowed sister used to stay with us and she wore only white sarees. So we were home alone one day when I cajoled her into making me wear one of her sarees. She folded her pristine white saree, with no embellishments whatsoever, into half to make it fit my tiny size. Despite her slight frame, she had to pin her saree blouse like a double breasted jacket. I was utterly delighted with the end result and pranced around feeling most important, while she watched in amusement. When we reached college, we would wear sarees to work in exhibitions and conferences to earn a princely sum of Rs. 100/- per day. The real romance with sarees began after I got married into a Bengali family. Durga Puja arrived every year with new sarees from every family member so my collection grew by leaps and bounds. Sarees of every hue and texture from all parts of the country!